It may have taken forever to happen, but Kanye West finally released his highly anticipated LP, The Life Of Pablo, on February 14. Due to its seemingly rushed release, portions of the record may still seem unfinished, a sentiment echoed by West himself when he tweeted yesterday afternoon that he was going to “fix” album track “Wolves.” He was likely referring to the omission of Sia and Vic Mensa from the track, as both of them were featured on the song when it made its live premiere almost exactly a year ago. 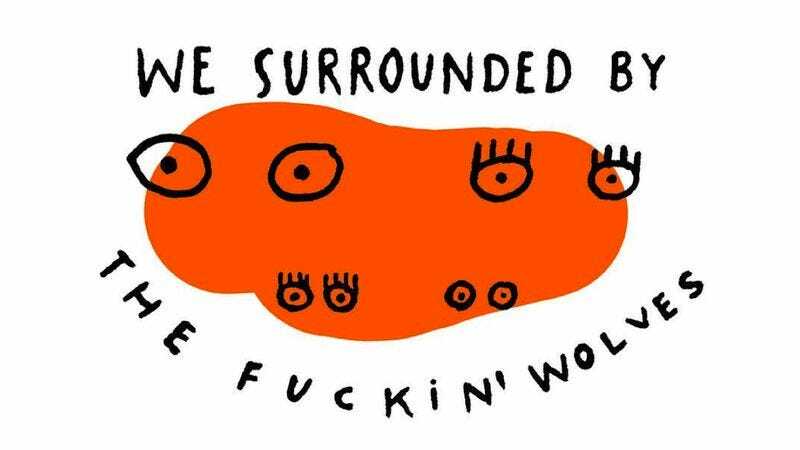 Regardless, artist Pierre Buttin seems to think the song is fine the way it is, so he went ahead and created a series of 62 illustrations that depict every lyric from the track and uploaded them to Instagram as @wolvesillustrated. The drawings are simplistic but expressive (never consisting of more than two colors), not unlike the somewhat simply arranged song. Listening to the song while following along to the lyrics and visuals on your phone is a pretty fun exercise, like watching some sort of new age, interactive music video.